The global pivot toward sustainability is the greatest business opportunity of all time. According to the United Nations, during the next thirty five years the number of people living in cities around the globe will double from 3.5 billion to 7 billion people, which means the total amount of urban living space on the globe must also double. With the globe already at a tipping point, "business as usual" will push the world beyond it's carrying capacity. Answering the call to this dilemma requires a sustainable development solution that can scale to global proportions. Catering to this massive demand is both a daunting challenge and the greatest business opportunity of all time. As global population growth and the rapid urbanization of our world increase at an incredible rate, we find ourselves confronted with the disastrous consequences of our unsustainable way of living. Simply put, the way we are living is killing the planet and causing extreme social tensions, economic inequality, health pandemics and climate change. With critical resources of water, energy, food and fuel already under extreme pressure, rapid urbanization must be handled in a sustainable manner if we are to avoid the potential catastrophic results of this unprecedented mass-migration. NextGenUrban has a scalable market solution to address the challenge and seize upon this historic business opportunity. Consumers are tired of hearing about sustainability and just want to BE sustainable. We are making a jump to the end-game; a solution that delivers an instant, hassle-free sustainable lifestyle. We are experiencing a profound moment in history as the world attempts a passionate yet unscripted pivot toward global sustainability. With this great shift there are winners emerging, and losers fading in every industry and across every region as disruption finds it's footing. The forces of population growth, rapid urbanization and rampant consumerism have collided with the realities of diminishing resources extreme inequalities and climate change. The situation demands an urgent response on a scale never before seen. The result is a "Global Pivot Toward Sustainability." It's being driven by the realization that if we are to avoid the most severe repercussions of this dilemma, it is now critical to immediately reinvent our present way of living and rapidly rebuild nearly every sector of society so it operates within a framework of sustainability. Obscured by the enormous complexity of this situation is the simple fact that we, as a species, have never been so well equipped to tackle this challenge. There has never been a better opportunity for us to seize the day and co-create the world we want to leave behind for future generations. And never have so many people from every corner of the globe been united in such a passionate unscripted social movement. Occasionally lost in the overwhelming magnitude of this social phenomenon is the fact that this massive shift has created the greatest business opportunity of all time. In the real estate utility and service industries related to our work here at NextGenUrban, the consumer's hopes dreams and desires have outrun the product offerings of "business as usual" to such an extent that a total disconnect is occurring. We see a massive gulf of unmet demand created by a supply side failure in the real estate industry to provide a well formulated sustainable product offering. 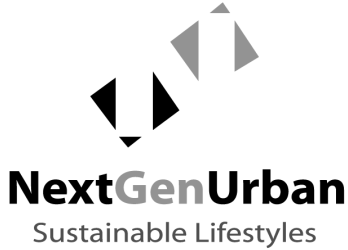 With our "Sustainable Lifestyles as a Service" offering, NextGenUrban is well positioned to capture this demand driven by the massive shift in consumer expectations .